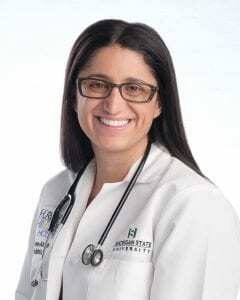 DR. MONA HANNA-ATTISHA MD, MPH, FAAP is a physician, scientist, and activist who has been called to testify twice before the United States Congress, awarded the Freedom of Expression Courage Award by PEN America, and named one of Time magazine’s 100 Most Influential People in the World. She’s also the founder and director of the Pediatric Public Health Initiative, a model program to mitigate the impact of the Flint water crisis so that all Flint children grow up healthy and strong. Find out more about the organization and its work at MSUHurleyPPHI.org.